It's the weekend, and I'm so happy. Aside from the typical errands (oh, adulthood), I'll plan on catching up with some friends, going out for coffee, and of course, journaling. With that being said, I'm always interested to see what others use for their notebooks and planners, so today I'd like to share with you one of my journaling lovelies, Yu Rong. 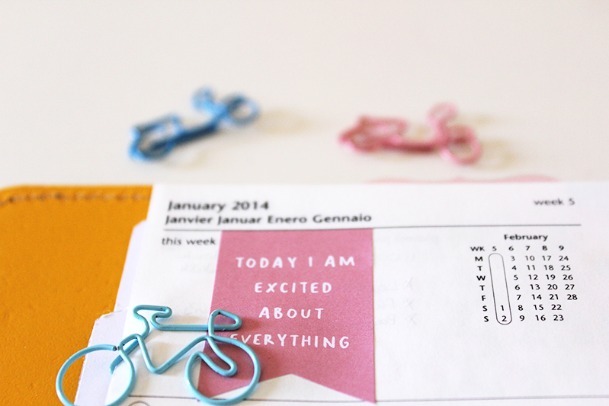 She'll be showing us some of her wonderful stationery favorites, so I hope you enjoy! Hello friends! 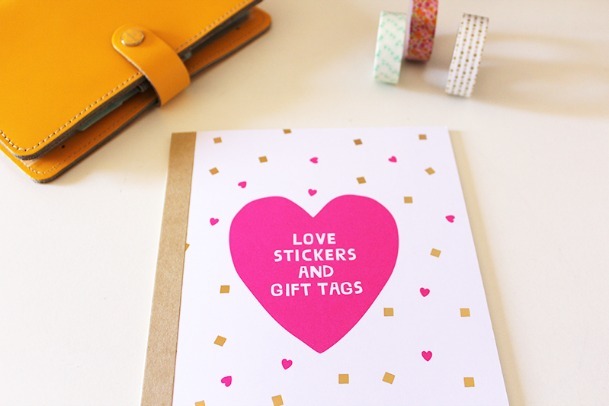 My name is Yu Rong, the girl behind xo-lovelee; a fellow lover of stylish and beautiful stationery. 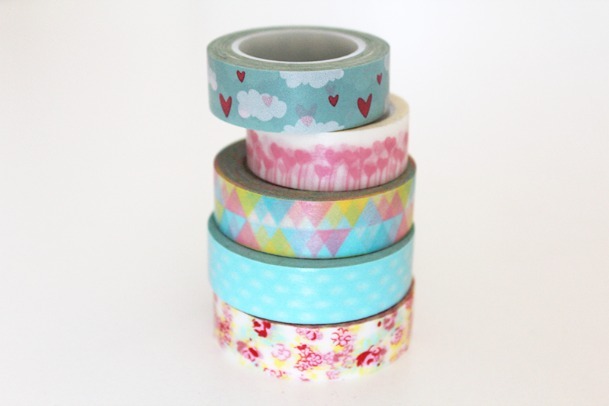 I adore beautiful words, pretty colours, gorgeous washi tape and all things planner related. So it was no surprise how excited I was when the gorgeous Michelle contacted me and asked if I’d be interesting in Guest Blogging for her - her beautiful stationery and elegant simplicity is one I totally admire! As a student, stationery is one of those things that make studying so much more enjoyable. As someone studying Biomedical Science and Science, stylish stationery allows me to relieve myself with some kind of creative outlet. 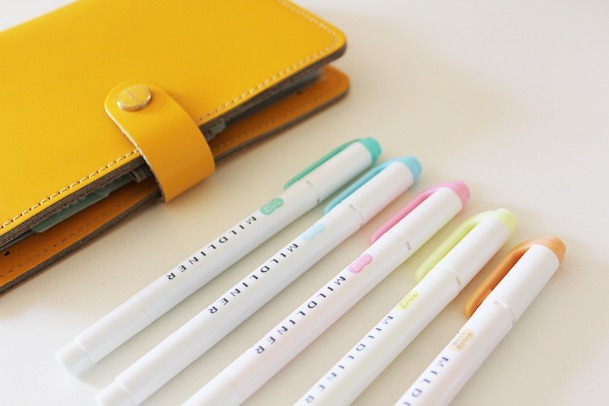 Coming from Australia, my favourite stationery stores to shop at is the wonderful kikki.K and Typo. Both of these shops are also available to non-Australians via the beauty of international shipping. The local stationery shops such as Officeworks is also one I frequent, especially since they set up their new pen bar which allowed me to play with all different kinds of pens, pencils and markers. I absolutely adore kikki. K gel pens as they are amazing to write with. These pens are what I reach for when I start writing beautiful words in reply to lovely letters from gorgeous friends. I am also a massive fan of the uni style fit pens. They come in a variety of different ink colours, nib sizes and barrel designs. This pen, I use solely for my Filofax as the 0.38 mm nib is perfect for writing lots in my planner. 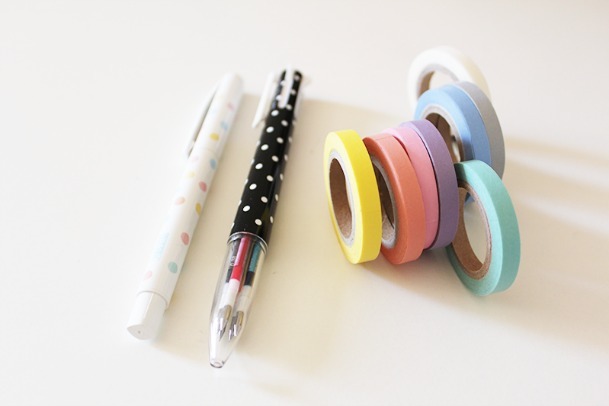 Skinny washi tapes are also used in my planner and snail mail to help me decorate and or colour coordinate. I adore these pastel zebra mildliners as they are so much easier on the eyes. When you’ve been studying for 5 hours, some highlighters can appear far too strong. Words begin to blur, your head starts to hurt… yes, I’m sure you know what I’m talking about! Around the exam period, these are a total lifesaver! An in depth review can be found here. I have to admit that I am also a sucker for washi tape and wonderfully shaped paperclips. These vespa and bicycle clips are just the most adorable things I have ever seen! I love using them in my planner to keep pages together. A recent stationery purchase is this kikki. 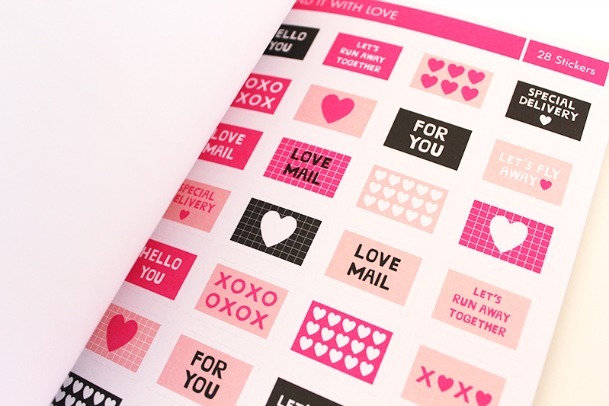 K sticker and gift tag booklet from their neon hearts collection. I absolutely love some of their items so I am definitely going back for more! Is it not to die for? I hope you had a good time looking through just a few of my favourite and recent stationery purchases. Let me know your favourite stationery and shops you adore. There’s always room for stationery in my life! Thank you so much, Yu Rong, for sharing your wonderful favorites! And if you'd like to share a favorite of yours as well, feel free to leave a comment below. I'd love to hear it.